At the time, the man had been traveling southbound on Washington Street when police say he crashed into the back of a Nissan pickup truck that had been completely stopped at a traffic light in the intersection with Hovley Lane. When the Palm Desert Police Department responded, they found the unidentified motorcyclist suffering from major injuries. He had been ejected from his motorcycle. The motorcyclist was tragically pronounced dead at the scene. Police are still trying to determine what circumstances led up to the accident and caused the motorcycle and truck to collide with one another. Their investigation continues at this time. At this time, we would like to reach out and extend our sincere condolences to the family and friends of the man whose life was taken too soon in this unexpected motorcycle accident with the hopes that they will find peace and comfort. Every day, handfuls of motorcyclists will be hospitalized following serious motorcycle accidents and others will lose their lives. Motorcyclists are especially vulnerable to these horrific accidents that can lead to life-threatening results. Drivers who share the roads with motorcyclists are urged to be as cautious as possible so that these accidents can be avoided. 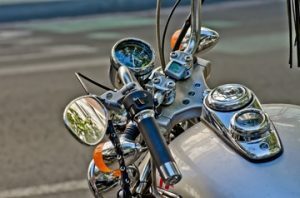 If you have lost somebody close to you in one of these accidents and you are unsure of where to turn, our experienced California motorcycle accident attorneys are here for you. What happens after a serious and deadly accident when you believe that another party might be liable for the loss of a loved one? These are unimaginable losses that cannot be perfectly measured, which is why it is sometimes difficult as you work toward results in your case and try to compensate on behalf of these huge losses. At the Los Angeles Injury Group, we do not want you to go through your claim alone. Contact us to find out what we can do for you at 310-954-7248.